The 3 Peaks Challenge conquers the highest peaks in Scotland, England and Wales in just 24 hours. This is a true endurance trek which will test your tenacity and adventure spirit. You’ll begin the trek by climbing Ben Nevis on Saturday morning before heading to the Lake District to scale Scafell Pike; finally finishing on Sunday by conquering Snowdon. 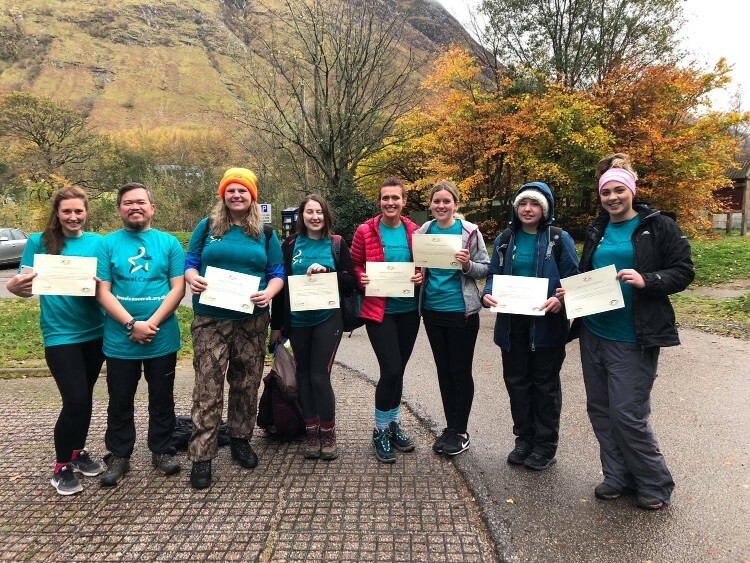 Fundraisers taking part in this challenge for Bowel Cancer UK will be joined by trekkers raising money for other charities unless you have a group of 8 or more. Our events team will support you all the way, from your initial welcome pack through to congratulating you on your achievement. We will send you a t-shirt to wear on the challenge along with regular training and fundraising updates to make sure you have the best experience.